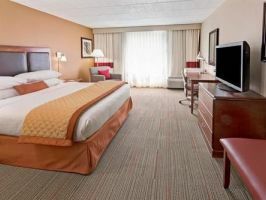 Book a hotel for the day in Pittsburgh and get some great deals and offers for day rooms.Pittsburgh has many times been named one of the best places in the world to visit. HotelsbyDay invite you to come and find out why! There's so many family fun attractions, it will take you several trips to experience them all! Step back into the past at one of the region's history museums. Whether your passion is visual or performing arts (or both!) you will be overwhelmed by the choices in theaters, galleries, public art installations and the museum dedicated to the Prince of Pop, The Andy Warhol Museum. And, Pittsburgh is home to three professional, and numerous collegiate, sports teams. Create your very own getaway to Pittsburgh and book your hotel with HotelsbyDay today!